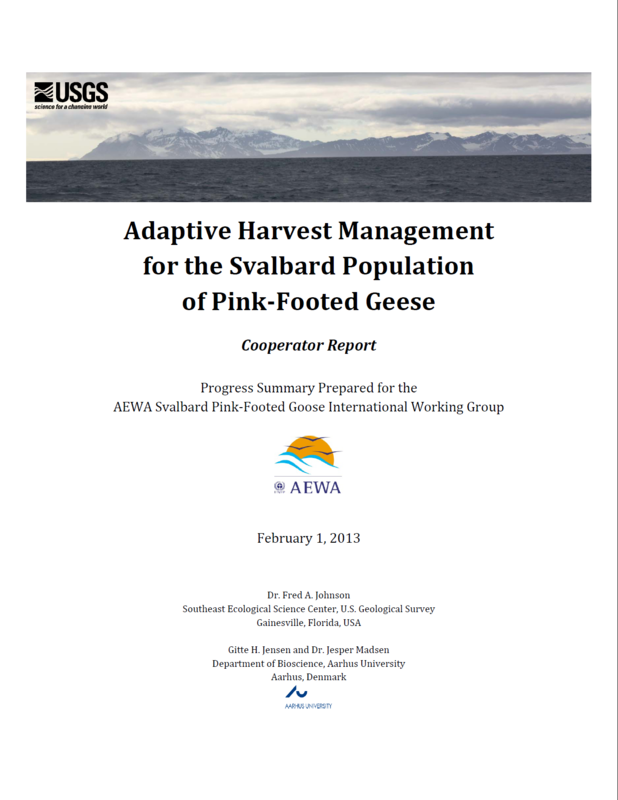 This document describes the initial work undertaken by Dr. Fred A. Johnson, of the U.S. Geographical Survey, in developing a number of alternative population models used to determine a potential harvest management strategy for the Svalbard Pink-footed Goose. It is recognised that continued development of the population models are part of the on-going process of implementing an Adaptive Harvest Management Strategy for Svalbard Pink-footed Goose. Consequently this work was subsequently further refined by Dr. Johnson and is described in the Adaptive Harvest Management Briefing Summary.